As star of BBC Three’s “Killer Magic” and the hit West End magic show “Impossible,” Chris Cox is the multi-award-winning mind reader who can’t read minds. 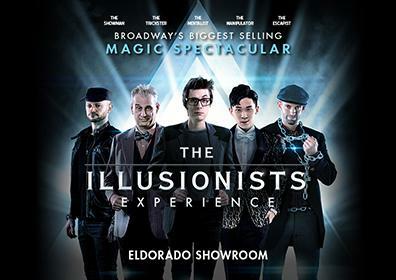 Dubbed by “The Guardian Newspaper” as “one of the most exciting entertainers in Britain,” Cox’s side-splitting, confident, silly, charismatic and mischievous sense of magic and wonder has been seen by over 300,000 people worldwide. Using a mongrel hybrid mix of witty chit chat, magic, psychology, body language, influencing, devilish good looks and lying, Cox will make you think that he knows what you’re thinking. Cox’s celebrity fans include Ricky Gervais, Jonathan Ross, Richard Branson, Nick Grimshaw, David Walliams, Tim Minchin and Simon Cowell.